These delicious coffee pods provide a bold and powerful taste of darkly roasted Espresso El Reto coffee with a sweet caramel undertone. This can be served short or long and is compatible with the Nespresso Machine. Pack contains 10 tasty pods. First 100% Fair Trade pod on the market. Now with new reduced packaging. 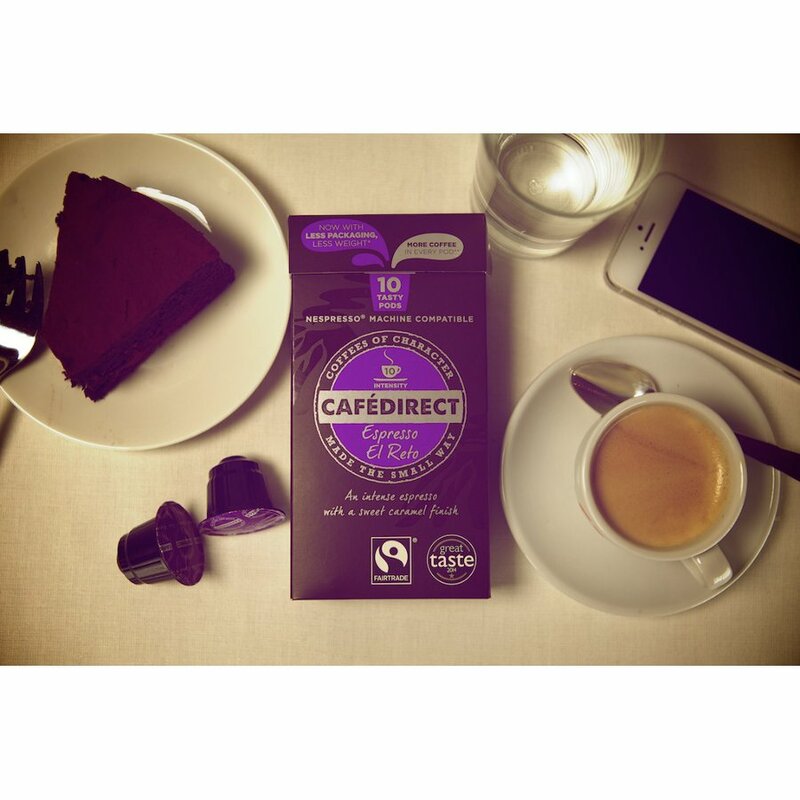 The Cafédirect Espresso El Reto Coffee Pods - Pack of 10 product ethics are indicated below. To learn more about these product ethics and to see related products, follow the links below. A nice alternative to other pods I have tried. Fair trade coffee and very convenient. The pods are easy to recycle too. This blend is bold, but not too strong or bitter. I like to drink it as a long serve in the morning. 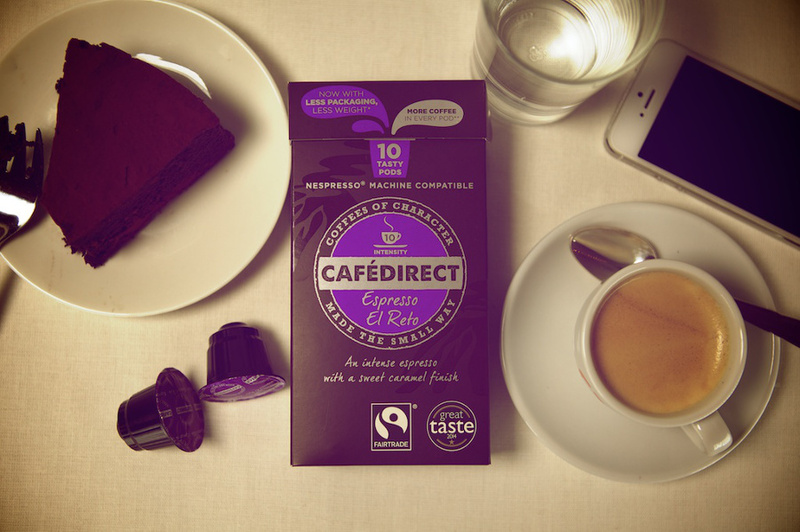 There are currently no questions to display about Cafédirect Espresso El Reto Coffee Pods - Pack of 10.